The past 5 days have seen almost 42,000 industry professionals attend the HIMSS Conference & Exhibition in Las Vegas; the largest health IT educational event of the year. Each year health IT professionals, executives, vendors, and clinicians from all over the world attend the conference to learn about the latest cutting edge IT products, and to take part in education programs, thought leader sessions, and roundtable discussions. The purpose of the conference is to show how health and healthcare can be improved by the use of IT, and to explain the power information technology has to transform healthcare organizations and increase profits. Attendees were provided with a wealth of information to help them leverage new technology to provide better services to patients. This year attendees were treated to presentations from high-profile keynote speakers including Super Bowl-winning quarterback & five time NFL MVP, Peyton Manning; Dr. Jonah Berger, the author of the best-selling book Contagious: Why Things Catch On, Dell CEO Michael Dell, and the highest healthcare official in the U.S., Secretary for the Department of Health and Human Services, Sylvia Mathews Burwell. In her opening presentation to over 10,000 attendees, Burwell strongly criticized institutions that engage in information blocking, and highlighted how important interoperability is to the reform of the healthcare industry. She also spoke of the importance of improving health data cybersecurity protections. Michael Dell also spoke of the need to improve cybersecurity defenses, and how the significant growth of data gathering devices has led to a major expansion of healthcare attack surfaces. There were nearly 1300 exhibitors, making it virtually impossible to see anything but a very small fraction of the vendors. The anchor exhibitors included companies with over 100 billion dollars in sales, such as McKesson and General Electric. SalesForce announced its continued push with SalesForce Health Cloud with a partnership with TigerText for HIPAA-compliant communications between hospital staff and between staff and patients. It was announced that Healthport, IOD, Care Communications, and ECS have merged to form CIOX Health. The new company serves well over 18,000 provider sites, more than 100 health plans and deals with over 1 million unique requesters of patient information, and is looking to create a single access point for patient information. Accenture announced the results of a new study which revealed that 85% of physicians believe the use of wearable technology can help to engage patients in their own healthcare. 40% of patients that have adopted wearables are now sharing their data with doctors. The study also revealed that 77% of patients want full access the EHR data that their doctors are able to see. Surescripts announced it has activated its National Record Locator Service, and is offering customers access to a huge volume of patient data. The service includes around 140 million patients and details nearly 2 billion interactions between patients and their care providers. It is seen as a major step toward making true health information exchange a reality. 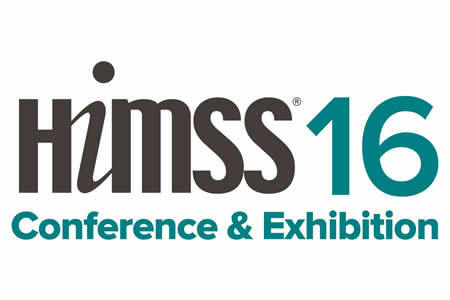 This year’s HIMSS conference had a major focus on healthcare cybersecurity. 30 presentations were offered over the 5 days on cybersecurity with a further 11 presentations on disaster preparedness. President & COO of DB Networks, Steven Hunt shed light on the threat from within, pointing out that theft of data from EHRs is not necessarily due to rogue employees, but also attackers who have gained access to login credentials. He explained how systems based on machine learning and behavioral analysis can be the best defense against these attacks. Medical device security is one of the biggest cybersecurity concerns. Devices are now proliferating at an incredible rate and the rapid growth in use of medical devices is causing headaches for IT security professionals. Chana O’Leary, Senior Security Consultant at OpenSky, was able to provide valuable insight into how the devices, and their clinical environment, can be secured. The volume attacks on healthcare providers last year shows just how important it is to improve security defenses. Christopher Strand, CSO, VP, and Director of Info Security/Site Security at Bit9 discussed the stages of a real-life malware attack from initial infection through to data exfiltration, and demonstrated how healthcare providers can improve their defenses against malware attacks with next generation endpoint security. John Klassen, Senior Director of Solutions Marketing at Fireeye provided excellent advice to attendees to help them combat today’s advanced threats, and explained why healthcare organizations now face such a high risk of attack. Data Connectivity was also a big topic at this year’s event with 41 presentations from telehealth experts. Attendees were able to gain valuable insights into emerging wireless and connected technologies and how they can be leveraged to improve patient and consumer engagement and create efficiencies in the healthcare system. The 5-days conference now at an end but attendees should now feel better prepared to deal with the many IT challenges that they will face over the course of the next 12 months.